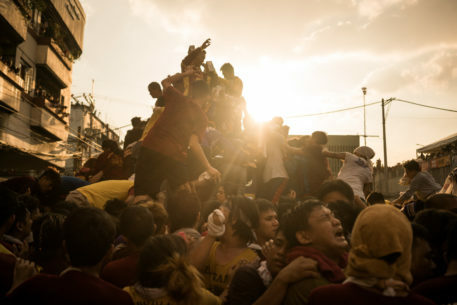 Hundreds of thousands of Filipino devotees filled the streets of Manila on January 9 for the annual Feast of the Black Nazarene. The highlight of the celebration is the Traslacion, wherein the image of the Black Nazarene is transported through the streets of Manila from Quirino Grandstand to it's home, Quiapo Church. The trip takes more than 20 hours to complete, usually ending past midnight the next day. With these photos, I wanted to show a more intimate and personal view of the devotees’ journey as they walk, climb, push, and pull, all to express their faith in the Black Nazarene on its journey home.